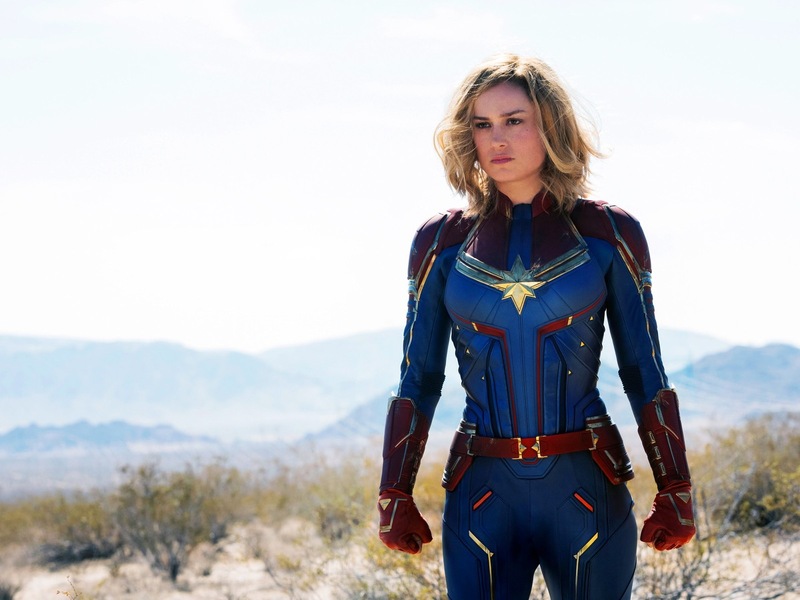 Captain Marvel is the powerful female hero everyone was waiting for, but the movie is stranger than expected. The Stan Lee tribute intro at the beginning of the film is beautiful and emotionally charged. His cameo in the movie is also wonderful, and the way Danvers and Lee simply smile to one another makes for such a strong image. The character of Danvers is somewhat flat, presumably because we learn early in the story that she is learning how to control her emotions. Like Twilight’s Bella, Danvers seems distant and honestly quite dead when really, she is probably just in her head a lot. That detachment is a shame to see, but when she does have dialogue it’s strong enough to make up for her aloofness. There are tons of tongue-in-cheek jokes and pop culture references throughout the movie. On one hand this is an amazing way to showcase Danvers’ sassiness and considerable ego, but on the other hand the witticisms seem unnatural and rather forced. Throughout most of the film, Danvers is something of a lost puppy looking for where she belongs and who she really is. Having not known her true identity for so long, she is filled with regrets from her newly constructed life of being a Kree warrior. Once she does learn of her true abilities, however, she is an unstoppable force—so unstoppable that the movie fails to address Danvers’ Achilles’ heel. This takes a toll on the film because viewers just don’t feel a sense of anxiety that they might have experienced if Captain Marvel had a chance of failing. Against unfathomable, spaceship-destroying glowing fists, no enemy seems to stand a chance. In many of her comic appearances, Captain Marvel is known to have succumbed easily to mental manipulation and brainwashing. Although this is true at the beginning of the film, she seems to overpower this weakness as well. Some other characteristics from her comic book character also have yet to be explored, which suggests Avengers: Endgame will be an exciting opportunity to learn more. One standout character in this film is Goose, the cat. Goose is an incredibly integrated and dynamic character for being just a cat (or so you think). Four cats were used during filming to portray Goose, and the cat steals every scene it’s in. Most notable is the scene where we learn how exactly Nick Fury loses his eye. It is an unexpected yet terribly amusing plot point to have added, especially due to Fury’s (now bittersweet) love for the cat. Captain Marvel does touch base with many important societal issues we face today. Refugees and women are two minority groups we get to follow throughout their strife. The Skrulls, we find out, plan to obtain a lightspeed engine that will allow them to finally escape from the ruthless targeted attacks by the Kree. The scheme is an awfully sad and desperate plan to be free. Overall the movie may not be everyone’s cup of tea, but it is worth watching. Carol Danvers is not explored as much as she could have been in this film, but that leaves room for much more development in later installments of the Marvel Cinematic Universe. If there will be more Goose, I will be there.